What makes the Open University unique from other universities? What major challenges have open universities faced over the past 10-years? To what extent is the Open University still relevant in the digital-era? 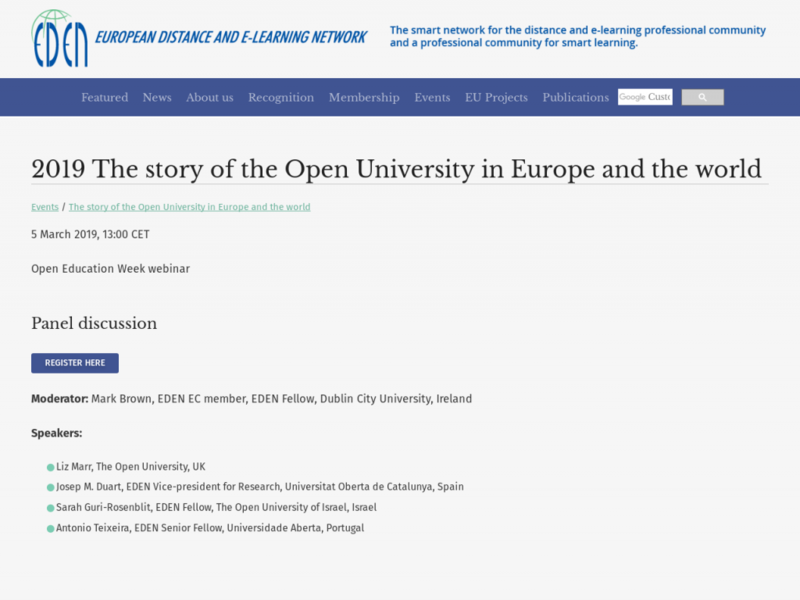 The first question offers an opportunity to discuss the uniqueness of the Open University and the role it has played in different contexts across Europe and the World more generally. The second question is aimed to reflect back on some of the major challenges that the Open University model has experienced in recent times and what changes have taken place. Following on from this question the final question looks ahead to some of the issues facing the Open University in modern times and what role they should play in the future. In light of the digital-era where online education has arguably become the “new norm” our invited guests are challenged to make the case for the continued relevance and importance of the Open University in meeting the rapidly changing needs to today’s students and our ever-changing societies. Time of event is adjusted to your local time. Please double check it on the site of the event. Open Education Week is a celebration of the global Open Education Movement. Its purpose is to raise awareness about the movement and its impact on teaching and learning worldwide. Participation in all events and use of all resources are free and open to everyone. Except where otherwise noted, content on openeducationweek.org is licensed under a Creative Commons Attribution 4.0 International License.